You can see your entire store! 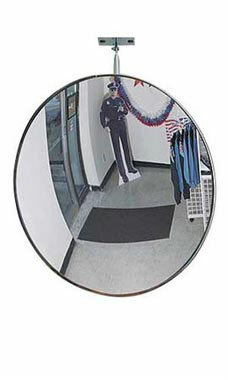 Very clear concave fish eye type of mirror can allow you to see what is going on in your store. A must have for any store owner!